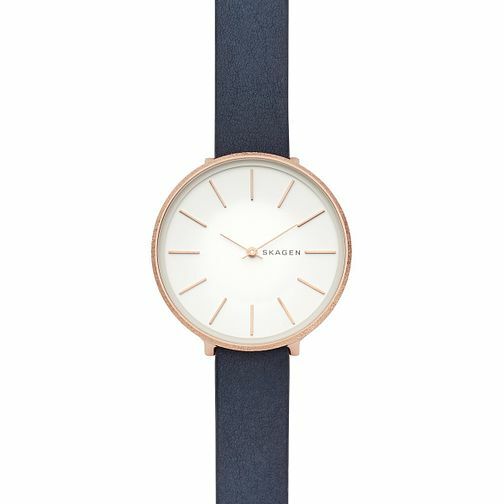 With clean lines and minimal detailing, this Skagen strap watch is the epitome of modern sophistication. Expertly crafted with a rose gold-plated bezel and a coordinating fabric strap, this watch features a white dial with sleek, linear markers. Designed for everyday pursuits, this watch is not only highly functional but it'll add subtle interest to your outfit too.